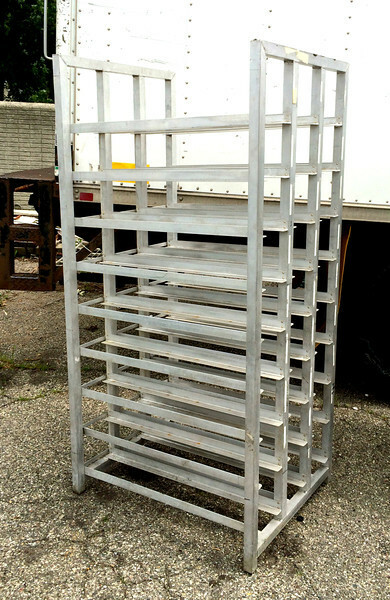 Commercial Grade Front Load Aluminum Bun Pan Oven Rack Each unit features 27 racks measuring 7 x 36 each. Overall Dimensions: 29 x 36 x 73. Two available. $125 each.